INDIANAPOLIS, Indiana – A new restaurant is coming to downtown Indianapolis, officially welcoming to theheart of the Circle City a famous Chicago-based pizzeria. 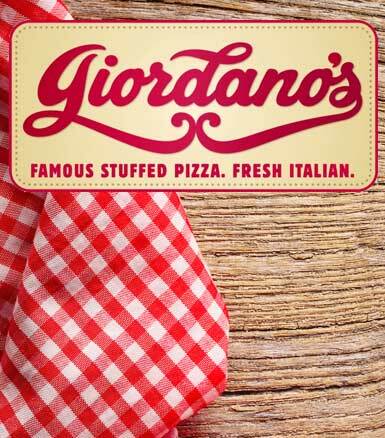 Keystone Realty Group announced today the signing of Giordano’s to be located on the first floor of what is currently the Illinois Building at the Southeast corner of Illinois and Market streets, one block from Monument Circle. Construction will get underway this summer with Giordano’s anticipated opening in November 2015 in the space facing Illinois Street. Including its 82nd Street pizzeria in Indianapolis, the franchise that made deep-dish Chicago-style pizza famous currently operates 51 restaurants. The long-vacant Illinois Building, listed in 2007 among the “Ten Most Endangered” properties according to Indiana Landmarks, was purchased by a related entity of Keystone Realty Group in 2014. Keystone RealtyGroup offers development and real estate services with an emphasis in multi-family, office, retail, mixed-use,parking garage and redevelopment projects. Originally built in 1926, the property is an 11-story, mixed-use building with a concrete structure, limestone facade and approximately 150,000 square feet. In addition to an upscale hotel that is planned to anchor the property, Keystone’s plans also call for two restaurants to be located on the first floor and an indoor/outdoor rooftop bar and restaurant on the 11th floor. Ozdemir, who is also the owner of Indy Eleven Professional Soccer of the growing North American Soccer League, has proposed an upscale hotel as the potential anchor of the Illinois Building, but a final deal has not been completed. Meanwhile, legislation enabling the construction of a new, 18,000-seat stadium to serve as the home of Indy Eleven games has been making its way through the Indiana General Assembly. The overall cost of the stadium would be financed through user fees captured at the stadium and, if necessary, the Illinois Building development. House Bill 1273 would extend a sports and entertainment development area to include a future multipurpose stadium site and the Illinois Building development for the purpose of reinforcing stadium finances. The multipurpose stadium bill received strong bipartisan support from the Indiana House by a vote of 74-21 before an amended version was approved by the Indiana Senate by a vote of 46-3. The bill next heads to a conference committee of House and Senate lawmakers who will work to finalize legislation for a stadium located on the campus of IUPUI that would be owned by Indiana University. Ozdemir, who has 17 years in the construction and commercial real estate industry, owns -Keystone Realty Group and Keystone Construction. He earned his bachelor’s degree in civil engineering from Purdue University.He also is an avid community supporter who serves on multiple boards, some of which include the Indianapolis Museum of Art, the Children’s Bureau Foundation Board, Indy Chamber of Commerce, Greater Indianapolis Progress Committee, University of Indianapolis, the Indiana Chamber of Commerce, the Center for the Performing Arts and the North American Soccer League. Keystone Realty Group is a real estate development and management company located in the historical Majestic Building in downtown Indianapolis. Keystone Realty Group offers development and real estate services with an emphasis in multi-family, office, retail, mixed-use, parking garages and redevelopment projects. For more information, visit www.keystone-corp.com.